The Philadelphia Phillies are meeting up with the best team in baseball for the second time in two weeks. The Phillies are hosting the Boston Red Sox for a two-game set at Citizens Bank Park starting Tuesday night. Nick Pivetta (7-9, 4.51 ERA) of the Phillies will face Boston's Rick Porcello (14-5, 4.17) in the 7:05 p.m. opener. The Phillies (65-52) are battling the Atlanta Braves for first place in the National League East, and they return home after a 2-4 road trip that featured series losses to the Arizona Diamondbacks and the San Diego Padres. Philadelphia is 38-18 at home this season. "(We're) trying not to focus too much on what's going on outside this clubhouse, whether Atlanta loses, Washington wins or loses," Phillies starter Jake Arrieta told mlb.com after Sunday's 9-3 loss in San Diego. "It's like, 'Let's just try and win the game that day.' If we do that and we stay healthy, we're going to end up in a good spot. The spot we want to be in." [post_ads]The Phillies have won six games in a row at home. The Red Sox (85-35), meanwhile, have won four in a row and 10 of their 11 games in August. It's business as usual for Boston, which moved to a season's best 50 games above .500 with a 4-1 win over the Baltimore Orioles on Sunday. 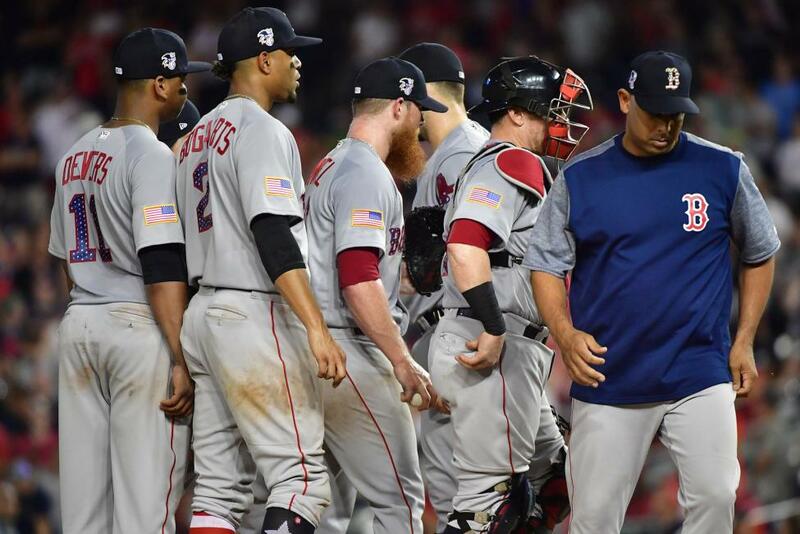 The Red Sox and Phillies split a two-game series in Boston at the end of July. Phillies pitchers held the normally potent Red Sox offense to three runs in the two games at Fenway Park. Pivetta will try for similar success on Tuesday. Pivetta has looked good in his two starts so far this month. In outings against the Miami Marlins and the Arizona Diamondbacks, the right-hander gave up just two runs and nine hits while striking out 13 in 12 innings. He threw six scoreless innings against Arizona last Tuesday. Pivetta has not yet pitched against the Red Sox in 2018, but he tossed seven shutout innings with nine strikeouts against Boston on June 15, 2017. Porcello is facing the Phillies for the fourth time in his 10-year major league career. He is 1-1 with a 5.50 ERA and 1.556 WHIP against the club. Porcello threw a complete game gem against the New York Yankees in his first start of August, but he was hit much harder in his last start. The 29-year-old gave up seven runs on six hits (two homers) and three walks in four innings against the Toronto Blue Jays last Thursday. "I was battling from the get-go, but just didn't have the command I wanted," Porcello told mlb.com after the outing. Justin Bour could make his home debut for the Phillies on Tuesday. Acquired last week from the Marlins, Bour got a pinch-hit single in his first at-bat with his new team on Sunday. Bour is hitting .227 this season and has a .202/.253/.360 slash line in 28 career games at Citizens Bank Park.